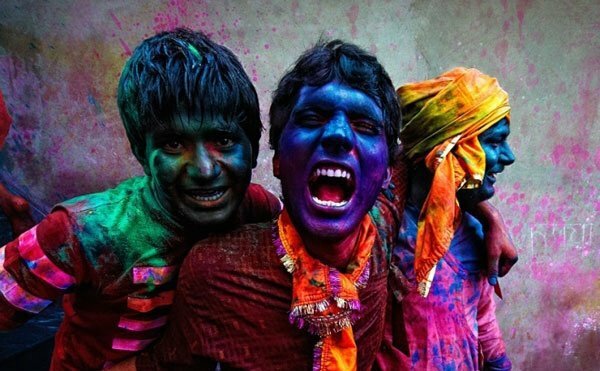 Do You Know The Interesting Stories & Reasons Behind Why We Celebrate Holi? 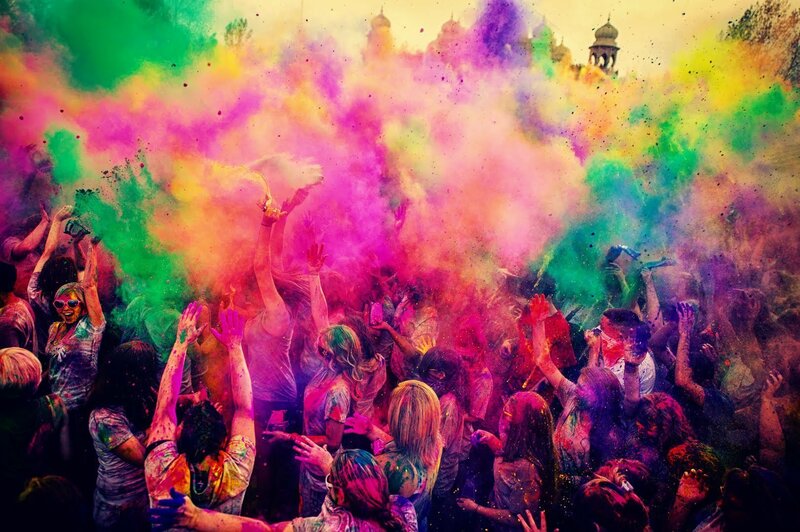 Well, Holi is round the corner and all of us can almost smell loads of good food and (some much-needed) fun. 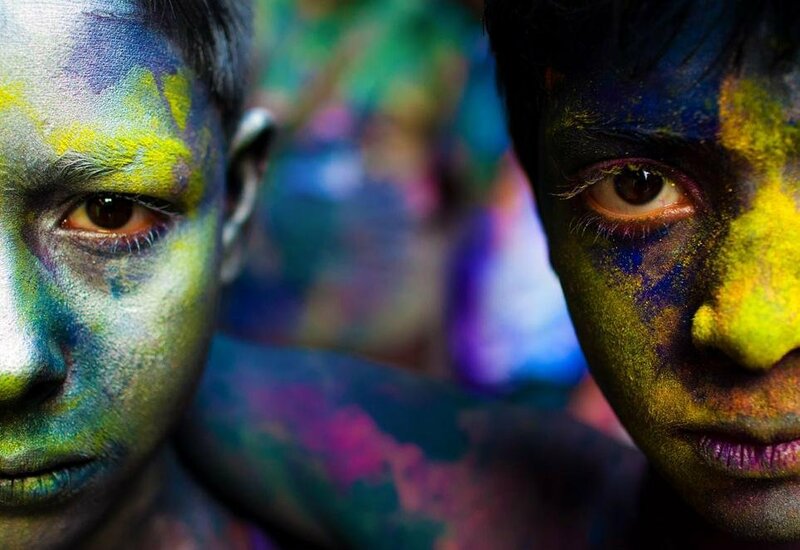 While we get busy drenching ourselves in colours, chomping some gorgeous food and downing thandai, there are different aspects of Holi which reveals its significance in more ways than what meets the eye. 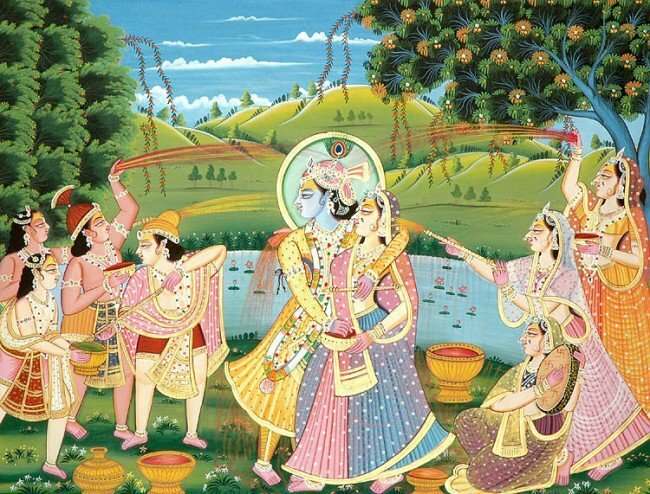 We have brought to you some really interesting mythological stories behind Holi you might not have known of. 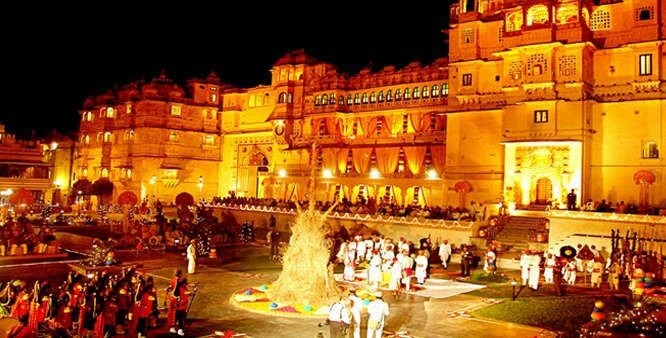 Strange, how a festival can have so many stories behind its origin! The legend of 'Holika' is the most celebrated mythological story behind Holi. As the story goes, according to Vaishnava theology, Hiranyakashyap, who was the king of demons, received a boon of immortality from Lord Brahma. As a result of that, his arrogance was on the rise and he banned the worship of all Gods and Goddesses and wanted everyone to worship him instead. But his son, Prahlad, was an ardent devotee of Lord Vishnu. The king tried a lot of ways and methods to make his son believe in the self-styled God that he became, but in vain. 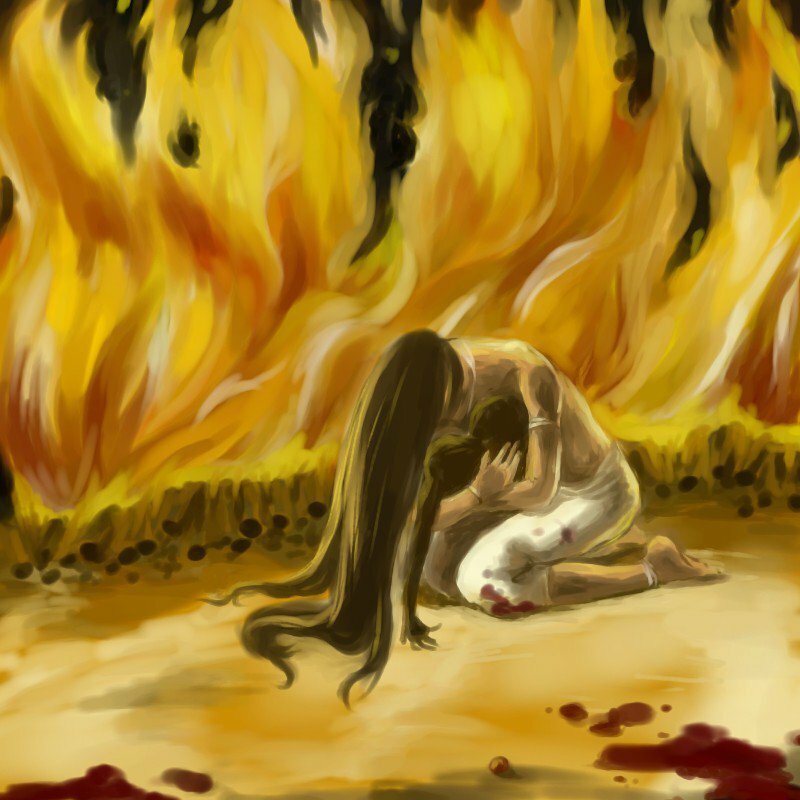 When everything else failed, the king found a way to put him to death - he ordered his sister, Holika, who had a boon of being immune to fire, to sit on a pyre with the young Prahlad. Prahlad followed his father's order but kept praying to Lord Vishnu, who came to his rescue. After the fire subsided, Holika was burned and Prahlad was found sitting still, praying. 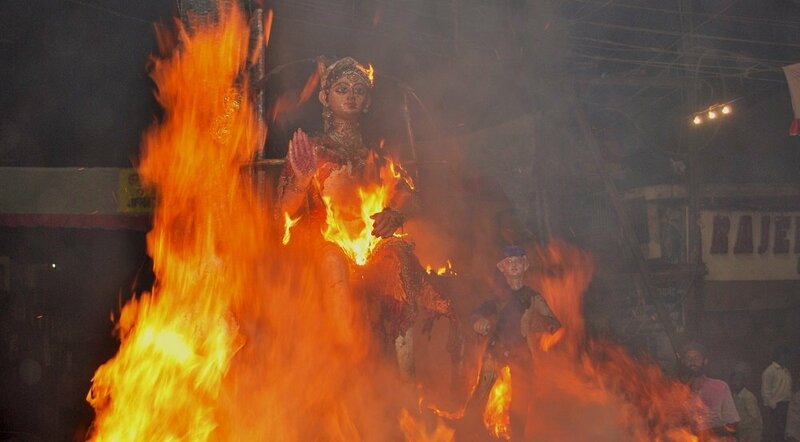 In most parts of India, the burning of Holika marks the beginning of Holi celebrations, which commemorated the end of evil. According to another mythology, Lord Shiva is said to have gone mad and into destruction mode after learning about Goddess Sati’s immolation. Sati's father did not approve of the ways of Shiva. When Sati's father decided to perform a sacrifice, he invited everyone except Shiva. This move to insult Shiva really bothered Sati and she killed herself in the sacrificial fire. 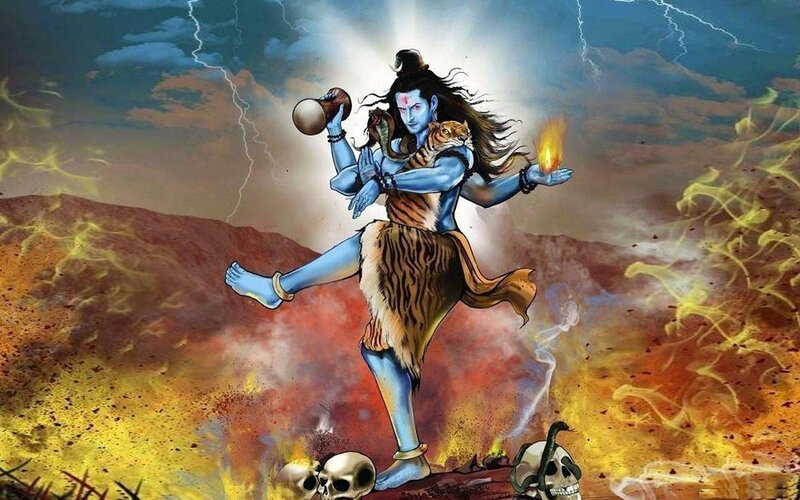 A furious Shiva killed her father in a fit of rage and his anger was unstoppable. Finally, after his anger subsided, he renounced the world and went into deep meditation. But his absence took a toll on everyone, as a result of which, the world suffered. Sati was reborn as Parvati as a solution to this problem and she had to win Lord Shiva's love to restore normalcy in the world order. 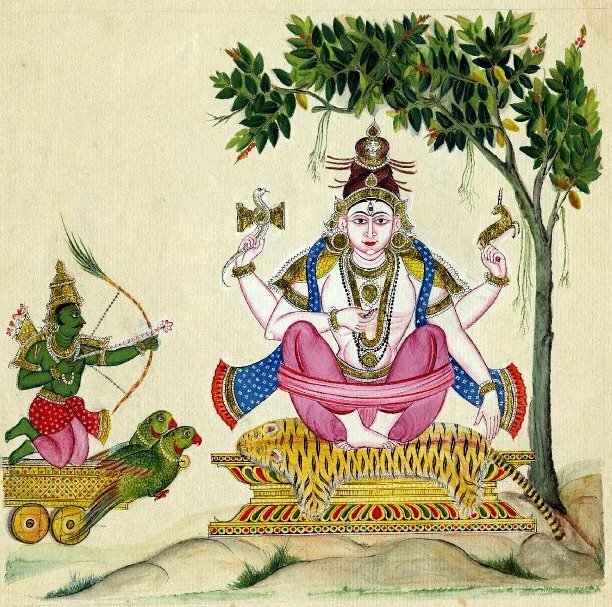 But when Goddess Parvati failed in her attempts, she requested Kamadeva, the Indian God equivalent of Cupid, to help her out. 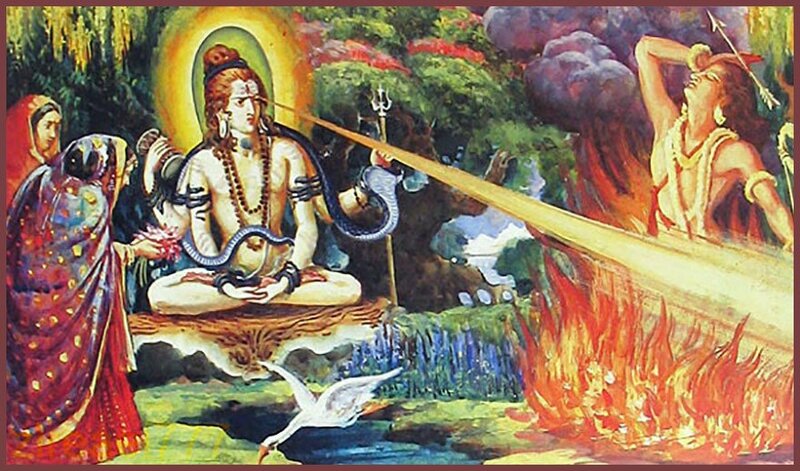 Kamadeva shot a love arrow at Lord Shiva and witnessed Shiva's wrath instead - Lord Shiva opened his third eye and burned Kamadeva down to ashes. 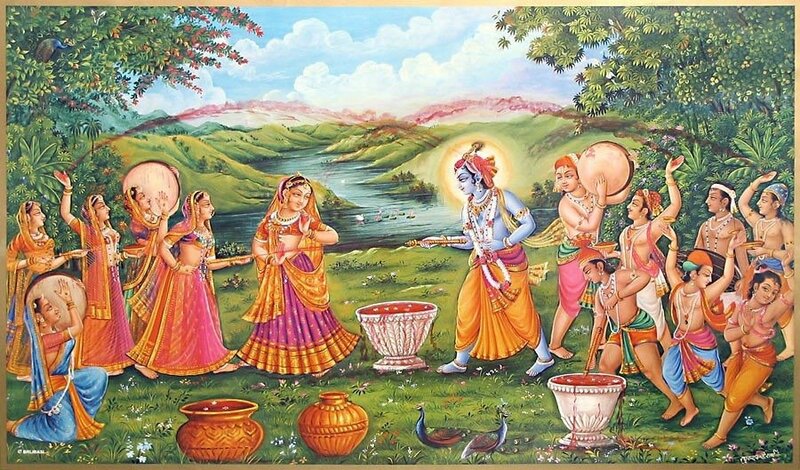 It is said that it was on the day of Holi that Kamadeva sacrificed his life for others' good. Lord Shiva realised the blunder he made and granted Kamadeva immorality later. A lot of people offer sandalwood paste on Kamadeva's forehead on Holi for the burn to ease. Heard of ogress Dhundhi? Remember how tales of her devouring innocent children in the kingdom of Prithu could send chills down our spine when we were kids? As the legend goes, Dhundhi received a boon from Lord Shiva that protected her from all kinds of natural calamities and from getting killed by all Gods or men. Needless to say, the boon made her invincible (and almost immortal) but she was cursed by Lord Shiva that she would face danger from boys who were crazy and playful. She was ultimately chased away by children’s pranks on Holi. Always wondered why some parents never scolded their kids for throwing water balloons at strangers! Maybe this is the reason why rowdy behavior is considered acceptable in many parts of India on this occasion. 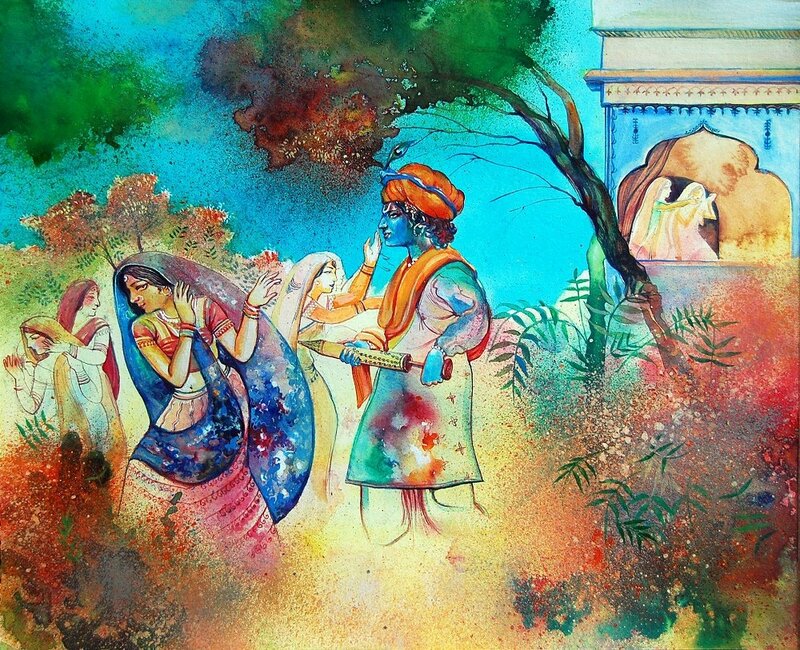 Vrindavan and Mathura celebrate the divine love of Radha-Krishna till this day. 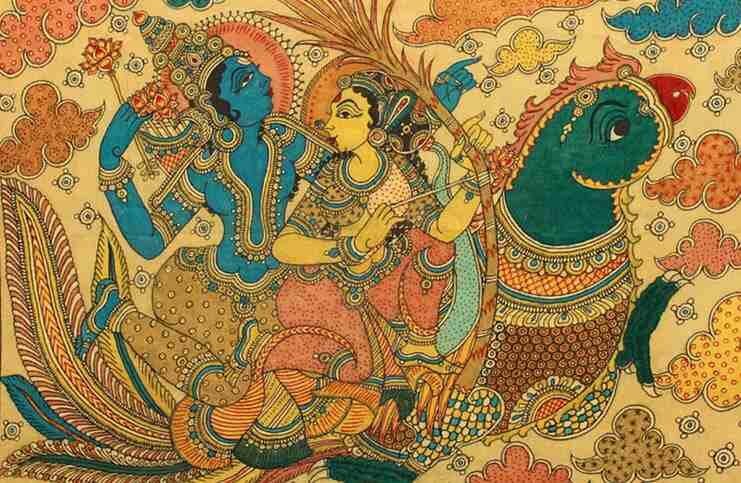 When Krishna was young, it is believed that he complained about his dark skin colour to his mother, Yasodha, and always pointed out how it is unfair that Radha had fair skin. So, one day, his mother (playfully) suggested that he can change Radha's complexion by smearing colour on her face. Krishna got fascinated by this idea and went ahead with it. 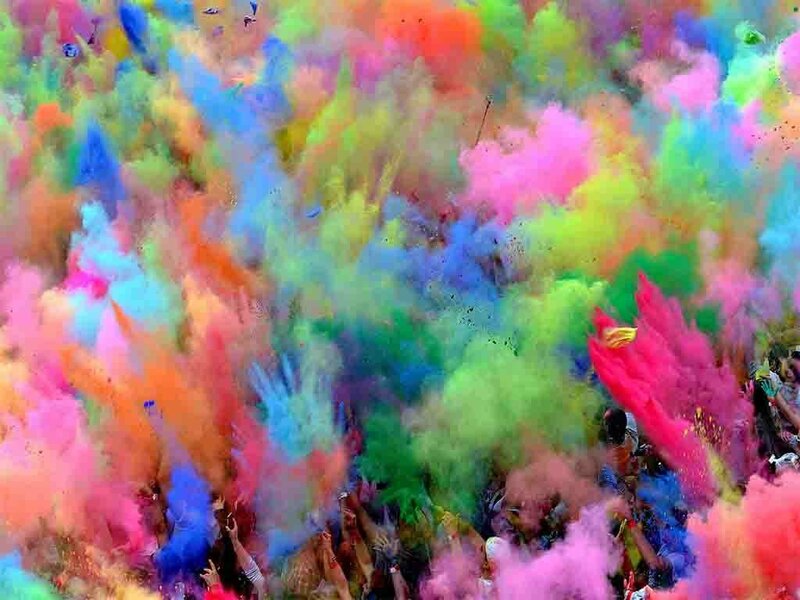 By smearing colours on Radha, he introduced the festival of Holi, many believe. 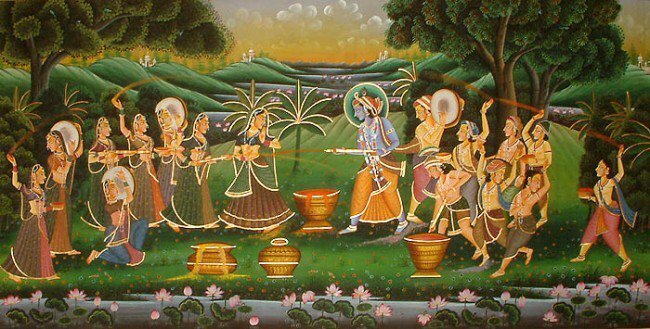 Radha and the gopis are said to have chased Krishna out of their village. Till today, Holi is associated with pranks and playfulness and in a village in U.P., women still beat their men up, on (lathmaar) Holi, to recreate the event. It has so many mythological tales that point to its origin, you can almost take your pick!